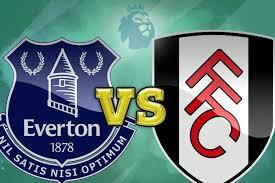 Everton will go in search of three essential points when they host Fulham at Goodison Park on Saturday. Marco Silva’s Blues desperately need a return to winning ways after two consecutive defeats to West Ham United and Arsenal punctured the early-season optimism around Merseyside. After winning the Championship play-off final against Aston Villa in May, the Whites have also endured a sticky start to the season; like Everton, they have only one league win from their opening six games. Manager Slaviša Jokanović will want to end their dreadful Goodison record; Fulham have not won there since a 2-1 FA Cup victory in February 1975 and have lost each of their last 11 visits to the ground in all competitions. The Serb oversaw the most expensive summer transfer window for any promoted club in Premier League history, spending roughly £100 million on seven permanent signings and five loanees. Everton will also be wary of Ryan Sessegnon who, at just, 18, already has 89 Fulham appearances to his name. The club’s top scorer last term with 16 goals, winger Sessegnon won both the Championship player and young player of the season awards in helping his boyhood club return to the top flight after a four-year absence. RBM: First of all, how do you think Fulham are settling into life back in the Premier League? Max: I think we have settled in decently enough so far. Our defence has been consistently shaky, but our attack and possession-based style of play have proven to be well-suited to the top flight. There are undoubtedly areas where we can improve, but we have Premier League quality in our side and we haven’t looked out of place at all in the opening weeks. 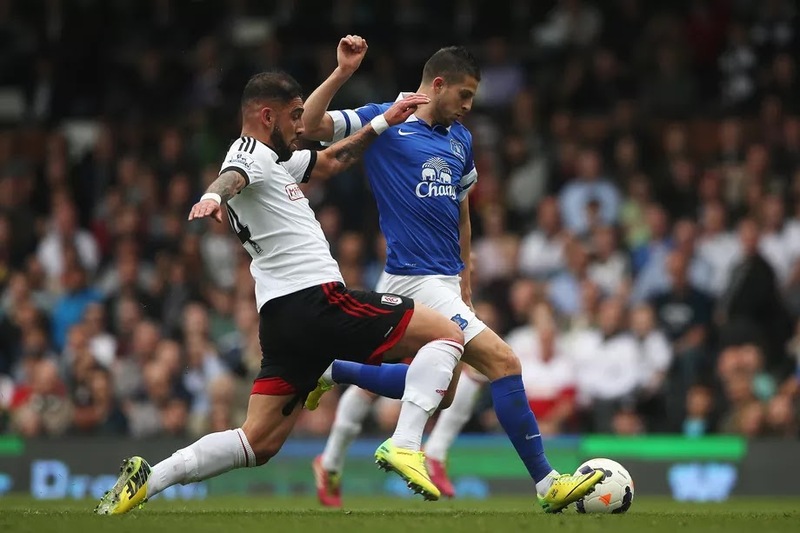 RBM: After a terrific time on loan last season, Aleksandar Mitrović has begun his permanent spell at Craven Cottage brilliantly, but are you worried Fulham are becoming a one-man team and over-reliant on the striker? Max: Mitrović has certainly started brilliantly. The issue of over-reliance is an interesting point, not many Fulham fans are considering it at the moment as we are all over the moon about how well he is playing. I wouldn’t consider us a one-man team at all, as our possession-based style of play creates a plethora of chances, and Mitro thrives in a system where he capitalises off these opportunities. Due to our relentless attacking style, Mitro is just the last piece of the our puzzle and finishes off the chances the rest of the team creates. If he was scoring individual wonder goals every match, then I would start to worry - but the fact that he’s capping off some nice team moves eliminates my fears of a one-man team. RBM: Fulham are yet to keep a clean sheet in the Premier League this season; only the bottom two, Cardiff City and Huddersfield Town, have conceded more than their 13 goals. What must Slaviša Jokanović do to correct these defensive issues? Max: It’s a massive problem, and the back four has been abysmal all season. It’s due to a number of factors, including the absence of last season’s player of the year, Tim Ream. When Ream returns, the defence will improve as a result of his calming influence. The constant change in the starting line-ups has only made the problems worse— once Jokanović settles on a consistent starting XI, the back four will solidify. RBM: Fulham haven’t won since captain Tom Cairney picked up an ankle injury in late August. Is his absence a key reason as to why the club have since been on a winless run? Max: Without a doubt, we have missed our captain massively in the matches he’s been out for. In his absence, we’ve been forced to play Johansen and André-Frank Zambo Anguissa. Johansen is clearly not up to the task of Premier League football, and Anguissa is an exciting talent but isn’t ready just yet to start consistently due to his penchant for giving away the ball in dangerous areas. Cairney is also so vital to our passing style, and when he returns, Fulham’s attack and possession will run far more smoothly. RBM: How do you expect Fulham to set up on Saturday? Max: I expect the Cottagers to set up in a slight variation to Slaviša’s favoured 4-3-3, with a slightly more defensive 4-2-3-1 being deployed at Goodison. It’s the formation we switched to in the second half against Watford [1-1 home draw] last weekend and it brought great success. My predicted XI: Bettinelli; Sessegnon, Odoi, Ream, Fosu-Mensah; McDonald, Anguissa; Schürrle, Seri, Vietto; Mitrović.